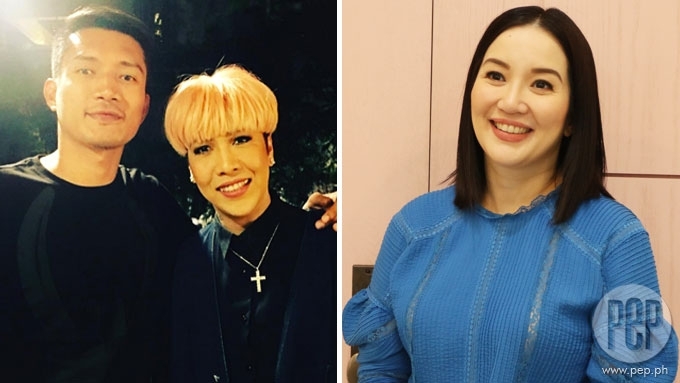 Kris Aquino reaches out to Vice Ganda via social media: "Missing you." Kris Aquino taps Vice Ganda via a comment on his post, telling him he is "adorable," and that she misses him. 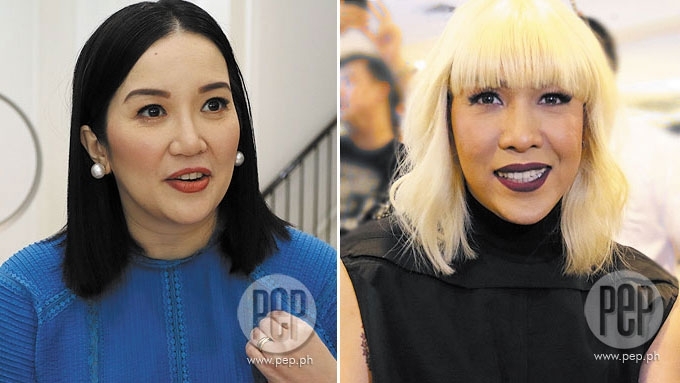 Kris Aquino has reached out to Vice Ganda to tell the It's Showtime host she misses him. It started this Monday afternoon, January 22, when Vice posted a short video on Instagram. He is shown sitting inside a car, fully made-up, and sporting one-length straight hair. He is dressed to the hilt in a long-sleeved, mini dress, matched by glittering boots. Psssssssttttt!!! Eto na nga pala yung pinagpalit mo noon. Ganda noh! Pwede mo na lang titigan pero di na pwedeng balikan. Tonononoiiiinnnxxxxx!!! At this writing, Vice had yet to respond to Kris’s comment. When Kris was with ABS-CBN, she and Vice became very close. They addressed each other as “asawa.” Vice appeared several times as guest on Kris’s daytime talk show then, Kris TV. The closeness of the two was also all over social media. But when Kris left the Kapamilya network in September 2016, their communication appeared to have tapered off. In an interview with PEP.ph (Philippine Entertainment Portal), Kris said that conflict of schedule was the reason she and Vice were no longer spending as much time together. But she clarified that that they remained friends. Kris used to be the talk-show queen at ABS-CBN, and was seen, during one extended period, every day on TV. At the time, Vice was just starting to make his mark on TV and film. Today, Kris is a presence largely on social media. Now it's Vice Ganda who is seen almost every day on TV, and has just starred in the recent Metro Manila Film Festival's top-grossing film.